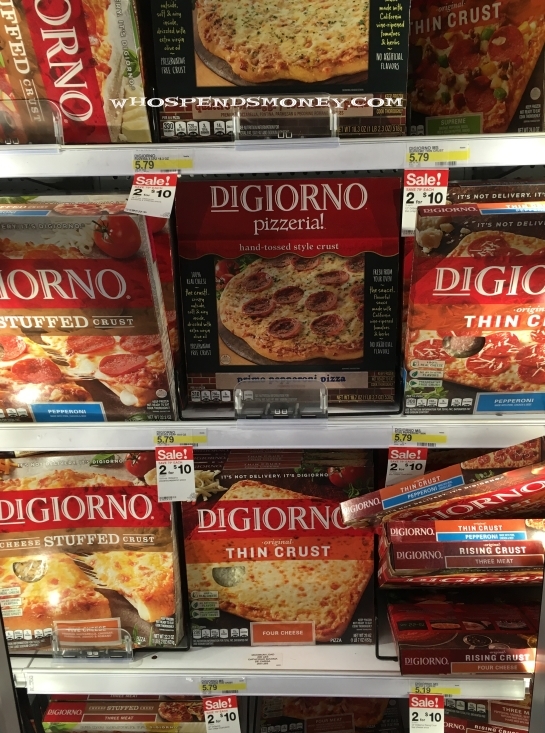 Here is a Great Deal on the Digiorno Pizzas! Generally once or twice a year we can get the Digiorno around the $2 price point. It is late in the year, but it happened! Of course, these are frozen pizzas, but at this price, its worth buying a few and throwing them in the Freezer! And this is a Super easy deal to do! I just printed out each of the coupons. It does not matter which order you give the coupons to the cashier. Once she hits subtotal in the end, the price will be $6.25 for 3!! Again, we only have a few days that the Cartwheeel coupon is available. 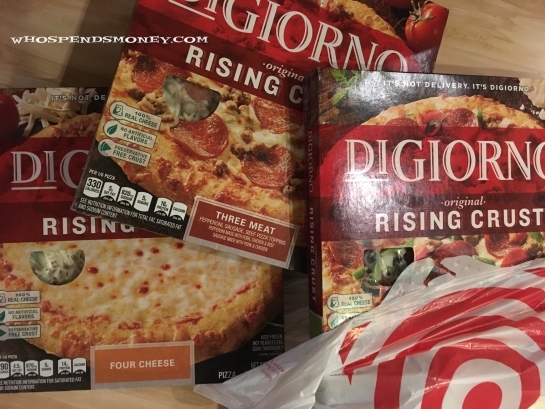 But my target had tons of the “original” varieties of pizzas in stock!